Crafting countertops that fit seamlessly into a kitchen is truly a form of art and this process doesn’t end with fabrication. Countertop installation involves just as much attention to detail, precision and skill as fabricating. 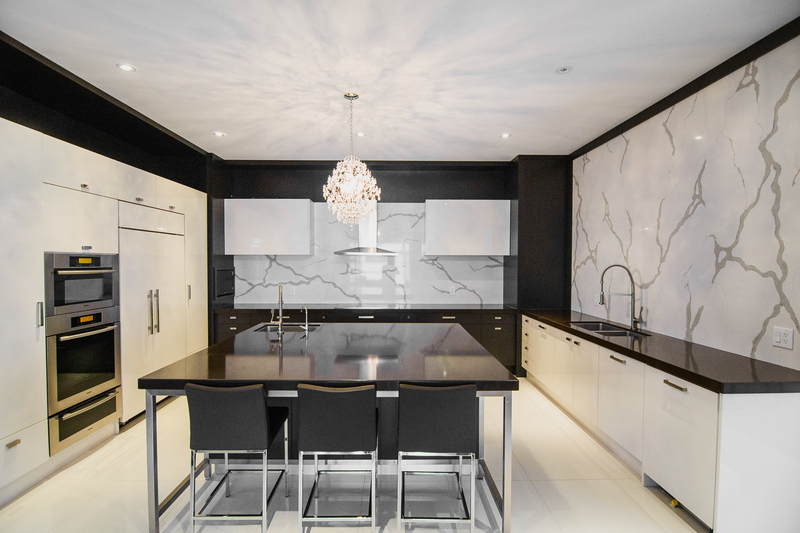 At Delsur Marble, our main goal is providing our clients with a finished product they will genuinely enjoy for years to come and raise their home value. So, if you’re looking to have stone countertops installed in your home, the following are three tips you can apply to prepare your home for countertop installation. Throughout the installation, chemicals and glues are often applied to aid in joining separate stone pieces, securing the countertops to the surface they’re being mounted to and ensuring the piece has the appropriate polish on the finish. As necessary as these glues and chemicals are to the installation process, they often come with a strong odour. Having a window open in the area where your countertops are being installed allows for additional airflow and prevents unwanted odours from spreading throughout the home. Another important aspect of countertop installation to address is dust. Despite accurate measurements, factors–such as slightly curved walls–can make getting a perfect fit more difficult. To achieve optimal results, workers may have to make slight cuts to the countertop or drywall. At Delsur Marble, we take the extra effort of cutting any countertop pieces outside to avoid spreading dust in the home; however, in some instances dust is unavoidable and covering furniture and floors helps contain it from spreading throughout your home. Before your new stone countertops can be installed, the current ones must be removed. Clearing your countertops, prior to the installation, saves this process from having to be done once the workers arrive–helping to shorten the overall length of the installation. Also, performing this task beforehand helps to prevent any items from being damaged from being quickly cleared away during the installation process. As a homeowner, these three tips are great ways you can not only assist the workers who will be installing the countertops but ensure your house is as prepared as possible for the installation!